Free Mobile Bar Hire Services, West Midlands & Warwickshire. 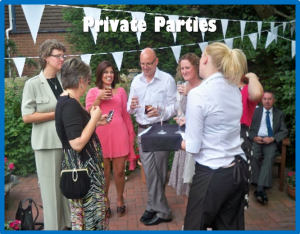 We provide a highly attractive free mobile bar hire service in Birmingham and throughout the West Midlands and Warwickshire for all types of events, corporate, charity fundraisers, private functions and celebrations, weddings and civil partnerships. We specialise in providing a friendly, professional mobile bar catering service for the smaller gathering of just 50 guests to medium sized events of 300 guests. Our free mobile bar hire service comes complete with everything you need, including all of the equipment to perfectly store the drinks, smart and courteous trained bar staff and the little things such as napkins, drink straws and cocktail umbrellas. Nothing is left out! We can provide a themed mobile bar for parties and corporate events with the theme being reflected throughout our service, including the drinks being served, staff dress, personalised bar menus and napkins. We promise to provide only the highest quality alcoholic and non-alcoholic drinks, and we can also provide yummy nibbles, scrumptious canapés, mouth-watering barbecues and tasty hog roasts too. Our catering division can also provide you with a great range of freshly prepared food choices, from a hot or cold buffet to a more formal seven course meal. To discover more about our full catering service, please visit our Birmingham catering website. If you are looking to hold a staff party, customer event, conference or promotional event, we have the ideal free portable bar hire solution for you and we can provide a qualified cocktail bartender when required. Our mobile bars and staff can be themed to compliment your event’s objective along with a selection of themed drinks, tasty snacks and delicious freshly prepared food when required. 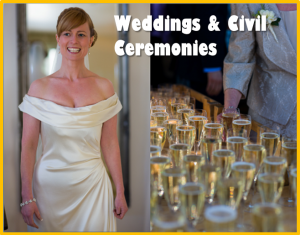 Tasty Champagne, Prosecco, hot or cold punch receptions. Delicious cocktails perfectly blended and served by our experts. A well-stocked mobile bar with drinks at their perfect temperature being served by courteous and friendly trained bar staff. The perfect way to celebrate your special day. 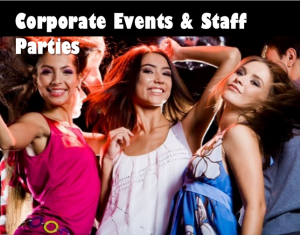 If you are looking to hold a fun party, a decadent cocktail party or a summer garden party, we have the prefect mix of equipment, range of drinks and talented friendly bar staff to make you party a huge success. We will add the sparkle making your party a great success and a great memory. You get free mobile bar hire with all the accessories you will need, and our highly competitive mobile bar hire drinks’ tariff, which you can download by clicking here. If you need any additional information, don’t hesitate to call Louise on 0121 649 6280.